Khan’s passion for programming started as a hobby that exists between her professional career as a strategy deviser and a consultant. As she entered the Islamic Finance (IF) Industry, she immediately took notice of the slow adoption of advanced technology. She then decided to fill this gap by increasing the awareness and education of this sector amongst the masses. Having the boldness to experiment and to practice a culture of innovation is key to cultivate solutions amidst an era where problems arise daily, especially with smart technologies. Khan says that the challenges are indeed many. “The integration of smart technologies with the legacy systems; the need to make the current employees understand the importance of adopting; train the existing staff in the usage of the adopted technology; and primarily, have access to a sound implementation catering to the strategy of the organization, developed either in-house or from a reliable fintech provider,” Khan shares a few. Talent is scarce in this domain, and having developers and experts review the developed implementation in a specific smart technology is both expensive and comparatively few in number. The second stage of these challenges would begin when it would come to the customer using the adopted smart technology-driven product/service. Up to this day, Khan continues to provide low cost, instant and transparent donation solution for the masses. 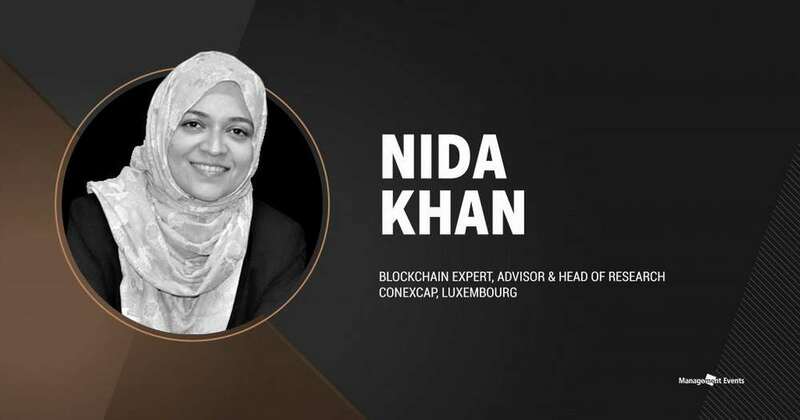 Being a part of the initiative by ConexCap, she was able to develop a Zakat blockchain app, both in Ethereum and Hyperledger. It doesn’t come easy, as it still faces many challenges. However, the key has always been to continuously experiment. “Blockchain proves to be a very useful technology,” she says. “Just like how GDPR gives the power back to the users in how their personal data is being handled, blockchain gives power to the users in terms of their transactions by ensuring transparency and traceability of payments.” The power of blockchain is not limited to these usages. However, it is not yet as decentralized as desired by masses, which makes it suffer from drawbacks like scalability issues. “If we go in favor of the ones that are scalable like Stellar, then its capability is limited compared to platforms like Ethereum,” she says. Ethereum offers both a private and a public ledger. It is working on its future release that seeks to resolve the scalability issues, Khan is hopeful to see a good outcome with the launch of Casper. “We also dealt with blockchain-based mortgage, which comparatively is easier practically than fully traceable Zakat through the blockchain. Experimentation is going on with regards to using AI on existing data. The outcome of these developed solutions would spur us to go further into extending emerging technologies in other products/services. The opportunities are manifold, and I see a breakthrough technology in blockchain for the Islamic finance industry, that by its inherent nature satisfies the requirements of Shariah needed in financial transactions. However, we do need to wait for the scalability issues to resolve before using blockchain for a global consumer base,” Khan concludes. Learn more about Nida Khan and her thoughts on decoding the future of BFSI in our Digital Risk and Internal Control event in Kuala Lumpur, Malaysia, on the 8th and 9th of October 2018.